O' move this realm into Paradise! ... Our constitution of “Good Living”, would once again be violated, to fit the wishes of whoever is in power." 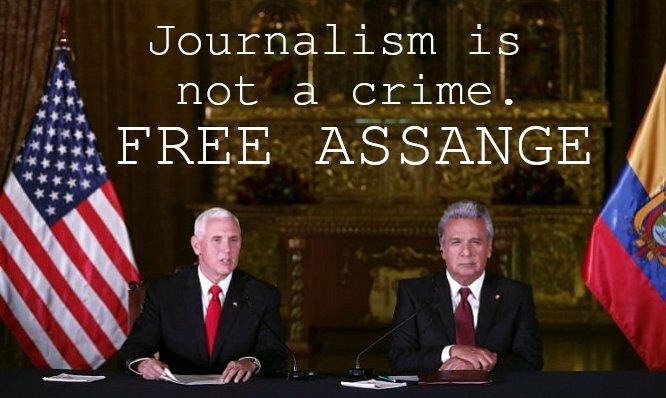 Rafael Correa on Assange Ecuadorian Pres Moreno is incompetent, doesn't even know Assange' case, reduces it to a hacker intervening in private emails. 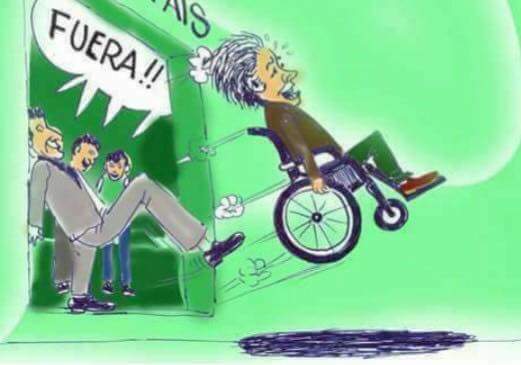 #Ecuador President @Lenin Moreno says if UK guarantees #Assange won't face death penalty then "the best thing for him would be to surrender to British justice... and after a few months in jail, freedom." Moreno knows there's a sealed indictment in the USA. 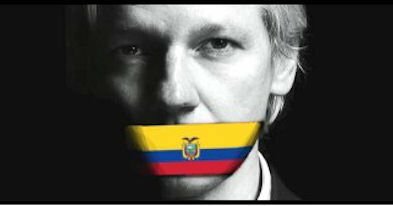 He knows Trump officials have said Julian's arrest is a priority and demanded #Ecuador hand #ASSANGE over. He's met with @VP Pence! 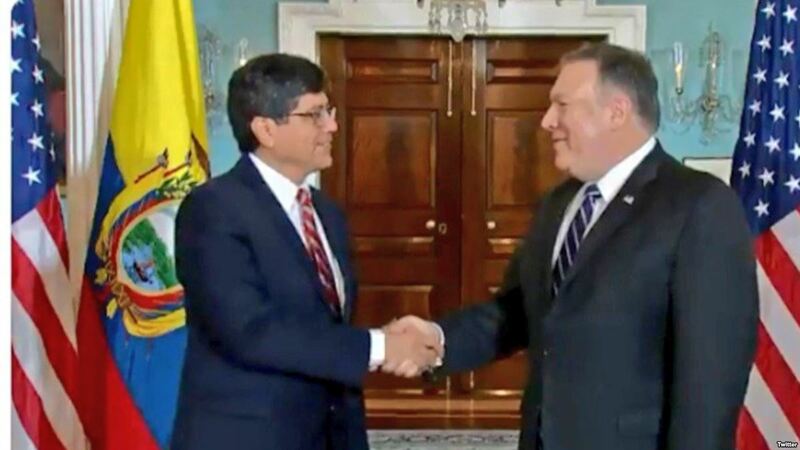 His FM just met Pompeo! He is a lying traitor! Moreno says UK officials claim their constitution forbids them extraditing anyone to a country where they could face the death penalty. And yet UK extradites people to the USA all the time! UK and USA repeatedly changes laws to attack @wikileaks! #ASSANGE even "tested out the translator to see how his remarks would be translated. He made several statements in English and then declared that the level of translation was insufficient. The judge then decided to suspend the hearing." #ASSANGE lawyer Carlos Poveda said: "One of his concerns was that if he made a statement, it could be interpreted as a transgression of his special conditions. What a contradiction!" Anyone familiar w/ propaganda techniques will see right through this article's lies, & figure its true intentions. Sorry to begin w/ the end of the article, but this is to show how crappy a job @abcnews is doing: they already had to fix a serious 'mistake' where they 'only' made their readers believe Assange is facing charges when he is not. Way to go @abcnews... but we're not done yet! Exposing the lies & manipulation in this article is like entering a long sewer: there's poop everywhere you look. 1. Ecuador wins compensation from Chevron for polluting. 2. Ecuador Supreme Court dismisses Chevron protest. 3. Ecuador govt dismisses Supreme Court judges. 4. Ecuador gets massive loans instead of Chevron compensation.